The new PR500-R and PR 10-G offer higher visibility and a long wireless range of up to 30 metres, enabling speakers to deliver compelling presentations anywhere. 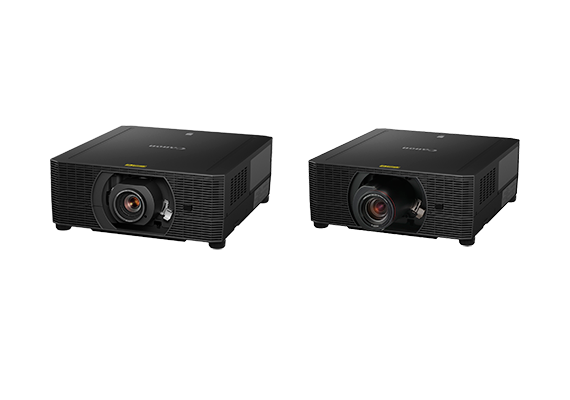 SINGAPORE, 12 December 2017 – Canon today announced the launch of the PR500-R and PR10-G, two wireless presenters with ergonomic designs equipped with the capabilities to deliver focused clarity for a wide range of presentations. The PR500-R features a double red laser pointer with twice the intensity and visibility of an ordinary red laser . 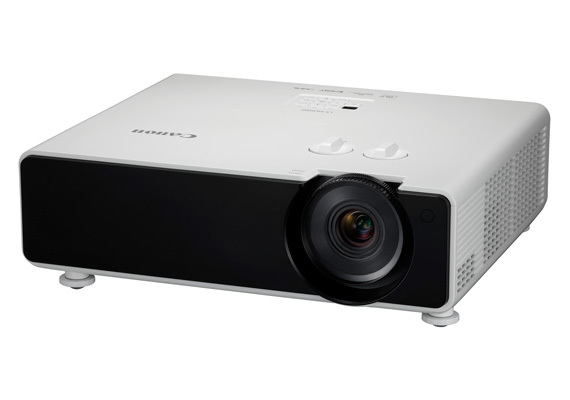 With its compact size, the PR500-G is the perfect partner for use during business meetings and conferences. 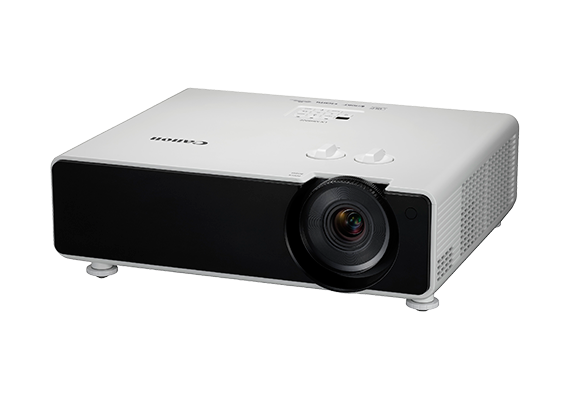 With a green laser beam emitting up to eight times the visibility of an ordinary red laser1, the PR10-G directs focus to key details even during presentations in larger public speaking settings. Both the PR500-R and PR10-G operate with 2.4 Ghz wireless technology at the range of up to 20 metres and 30 metres respectively, providing the user with a high degree of flexibility to move around. The ergonomic design of the presenters offers quick and convenient access to the function keys, enabling the user to switch between buttons with ease for better control over the presentation. The PR10-G includes a timer function with vibration alert, which allows users to keep time on its backlit LCD. The vibrating function alerts the user at determined intervals to move along the presentation, without the need to look at the device. When fitted with batteries, the PR500-R and PR10-G weigh 53 grams and 71 grams respectively. The light weight ensures a comfortable hold even when used for an extended period of time. Both the PR500-R and PR10-G are supported by Windows and Mac operating systems. With the plug and connect function, users will be able to deliver their presentations confidently without the hassle of installation. 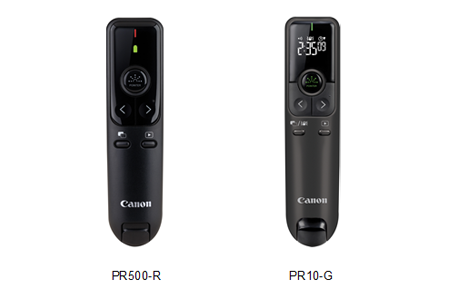 The PR500-R and PR10-G are now available at Canon authorised dealers at the recommended retail price of $79 and $129 respectively.